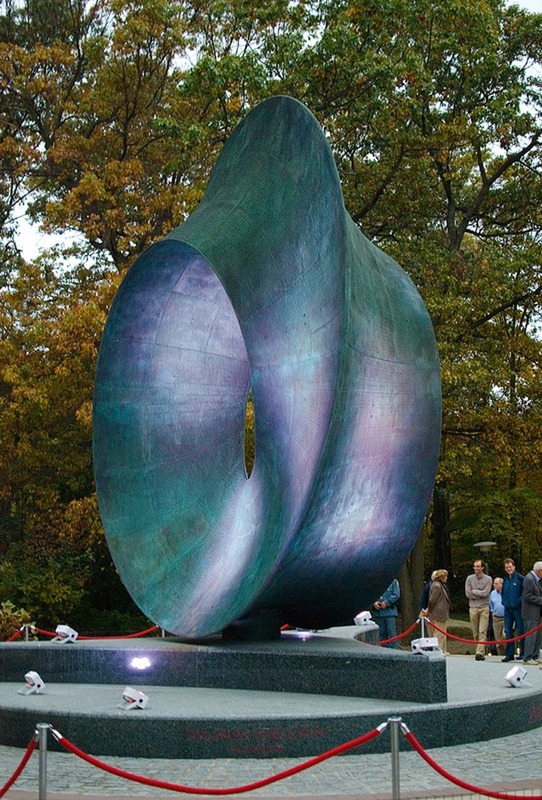 The 24-foot high, nearly 10-ton bronze Umbilic Torus, created by Helaman Ferguson, is a mathematically inspired 3-dimensional ring with a single edge that wraps around three times before returning to its starting point. 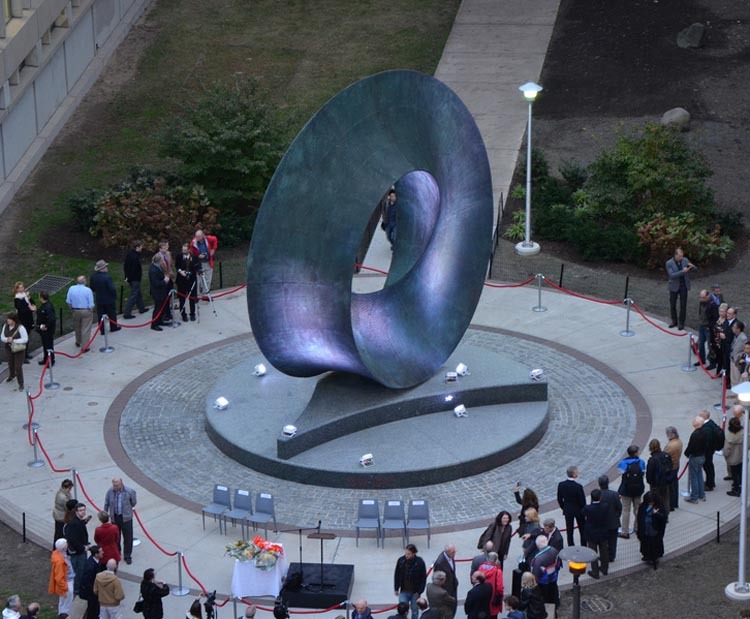 The sculpture was recently unveiled in front of the Simons Center for Geometry and Physics at Stony Brook University, where it celebrates the fusion of mathematics and art. It took Ferguson almost two years along with a crew of artists, engineers, programmers and welders to complete the large-scale work. Photos: Gilsanz Murray Steficek; Stony Brook University; and Henry Powderly for ThreeVillagePatch. Reblogged this on tilting teapot.